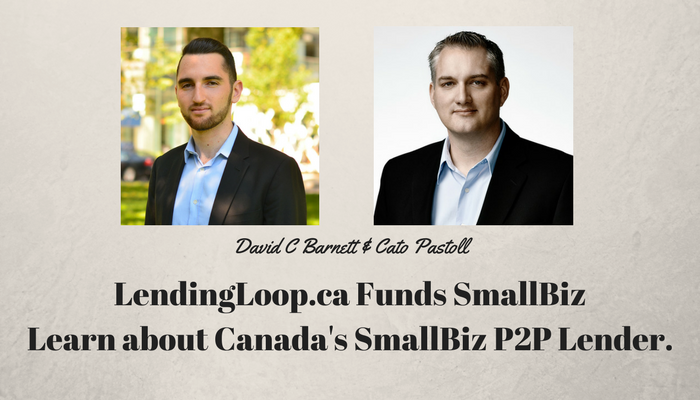 Peer to peer lending has been around in the USA and UK for over 10 years. Basically, it allows business owners to seek financing directly from local investors who can contribute as little as $25 to a loan. LendingLoop.ca is the first platform to do this in Canada and I had the chance to interview the CEO, Cato Pastoll about their successes and challenges in Canada’s very unique securities regulatory environment. Learn how you can make local small business investments with my online course at www.LocalInvestingCourse.com . My comprehensive program has been used by people all around the world. There’s no risk at all for you to enroll as the program comes with a 30 day money-back guarantee. Go to www.DavidCBarnett.com and sign up for my weekly e-mail. Easy unsubscribe at any time as I use MailChimp and I’m not interested in harassing people for who don’t want to hear from me. June 5, I’ll be back in Halifax doing two workshops at CEED. Learn to Buy a Business or Plan your Exit.